If not properly maintained, your plants could end up looking like this. Knockout Roses can bloom for six months or more. Clay soils (pot on right) are a challenge in Jefferson County and require amending to improve drainage. Crowding plants closely together is a common problem in the St. Louis area. Instead, plants should be planted with enough space for future growth, as is shown here. To generate enough light, homeowners mistakenly tend to install solar fixtures in a runway fashion. 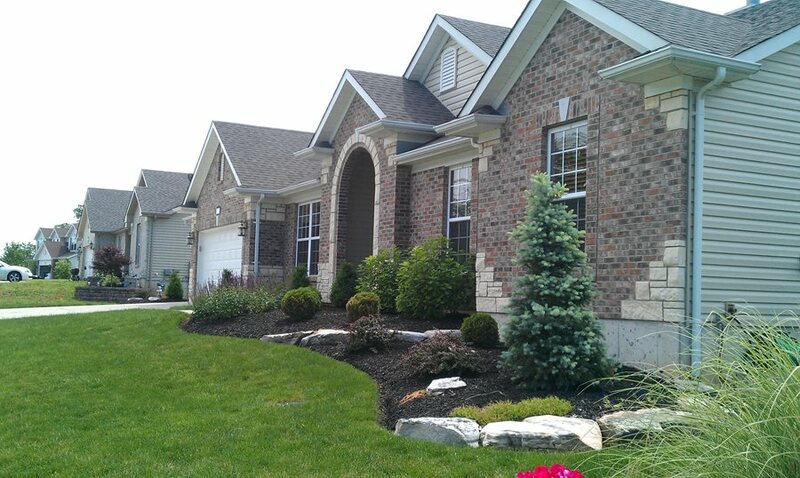 The team at Action Landscaping, knows what it takes to create a beautiful low maintenance landscape in the St. Louis area. For more than twenty years they have been helping homeowners throughout Jefferson County transform their properties into the yards they’ve always wanted. Check out their dos and don’ts for a great head start on your own landscape project. Do think of your house during different seasons. 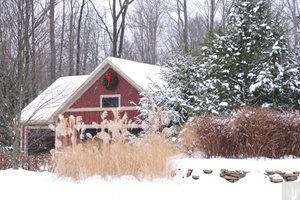 We always include evergreen bushes or trees in our landscapes for winter interest. Do choose plants that are hardy for our region. According to the USDA, for a plant to survive the St. Louis winter it should be hardy to -10 degrees F.
Do consider plant maintenance upfront. We recommend that all of our clients know the maintenance of the bushes and perennials they’ve selected before installation to determine if this is a plant they are willing to maintain. We also suggest that bushes be trimmed once or twice a year so they do not get out of hand. 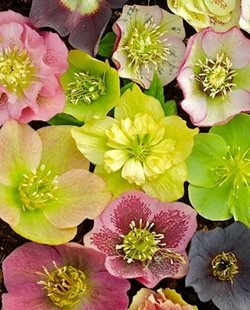 Do look for plants with long blooming periods. 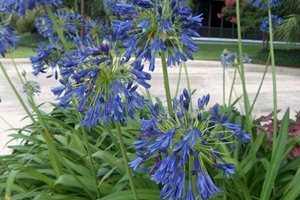 In the St. Louis area, the majority of perennials and bushes bloom only for a short time in the spring. One bush that we like to use for blooming color is the Knockout Rose. This bush is full of vibrant reddish pink flowers from May through November. Knockout Roses are easy to maintain if installed in an area where they can grow to about 5 feet in diameter. 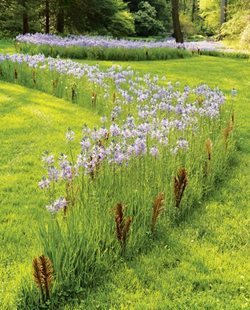 If they are planted in a more confined area, you will need to trim them back a couple times per year in between blooming cycles. They do attract bees along with Japanese beetles. Be sure to spray for Japanese beetle control. We find that Schultz Garden Safe Fungicide 3 RTU works well and is non-toxic to humans, animals, and birds. Don’t take your soil for granted. In Jefferson County we have a lot of clay in the soil. The soil lacks nutrients and retains moisture during wet conditions. When it dries out during the summer months, it gets very hard, restricting root growth. You can tell just by digging into the ground and turning over a shovel full of soil. Before planting, a mixture of compost and screened topsoil should be tilled into the beds to allow for proper drainage and root growth. 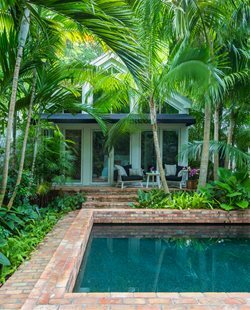 We see many homeowners and builders in the St. Louis area that plant bushes too close together without accounting for future growth. Our rule of thumb is to plant bushes at least 4 feet apart from center to center. Don’t forget about freeze/thaw damage. 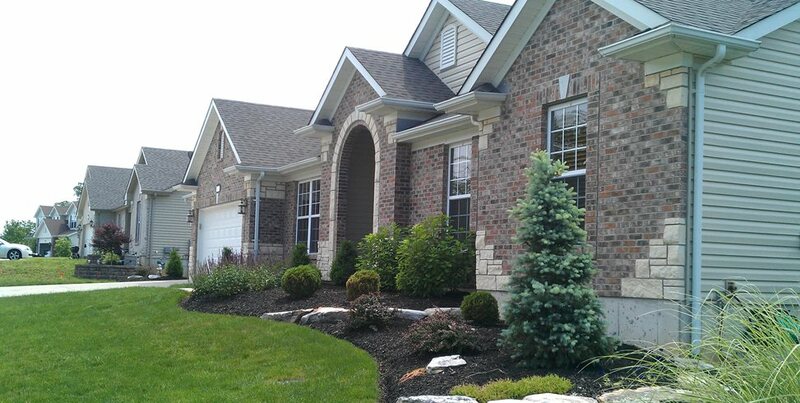 Many homeowners want to border every bed edge and tree ring in their yard with stone, brick, plastic, or metal edging. It may look good when installed but after a few years of winter freeze and thaw cycles and tree roots making their way underneath, it will become un-level and wavy. One of the biggest reasons for plant failure is over watering from irrigation systems. In Missouri, most plants do not need continuous watering like your lawn to look great. These fixtures, from your local hardware store, only produce a faint glow; therefore, you will need twice the number of lights to make any impact. 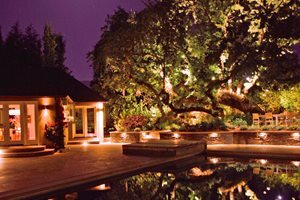 Many times this results in making the front of a house look like a runway rather than an elegantly lit home.